FSDP is committed to bringing our communities together, empowering families, restoring health and saving lives. Help us end overdose! We are privileged to co-sponsor this enlightening and transformative event on April 5 at the College of New Jersey. Please visit us at our exhibit table and learn how you can help support families impacted by substance use. 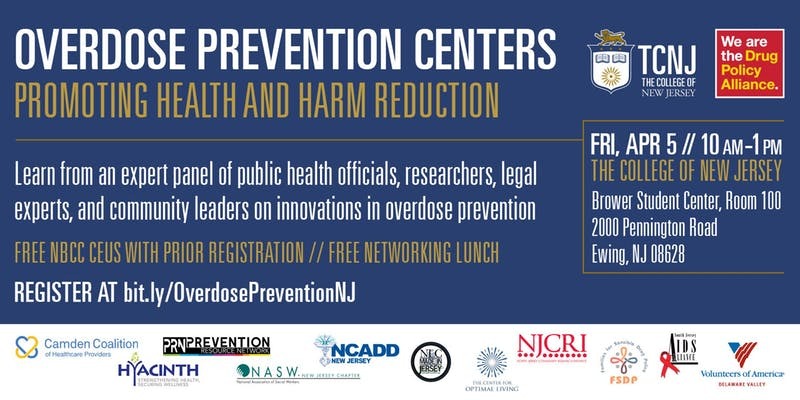 Join us to learn from an expert panel of public health officials, researchers, legal experts, and community leaders on innovations in overdose prevention. Admission is free, but space is limited — please RSVP to reserve your spot! Press interested in attending should e-mail akachalia@drugpolicy.org. Free networking lunch to follow the event at 1:00, and free parking and CEUs for those who register in advance via Eventbrite. 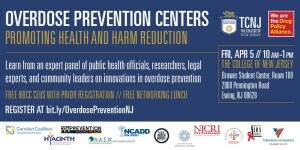 Co-sponsored by The College of New Jersey (TCNJ), Drug Policy Alliance, Camden Coalition of Healthcare Providers, Center for Optimal Living, Families for Sensible Drug Policy, Hyacinth AIDS Foundation, National Council on Alcoholism and Drug Dependence of New Jersey, New Leaders Council – New Jersey, North Jersey Community Research Initiative, Prevention Resource Network, South Jersey AIDS Alliance, and Volunteers of America Delaware Valley. Come see us at Scandinavia House in NYC to learn about Innovations in Treatment! Previous Previous post: Thank You For Making International Family Drug Support Day a Rousing Success!! Next Next post: Come see us at Scandinavia House in NYC to learn about Innovations in Treatment!